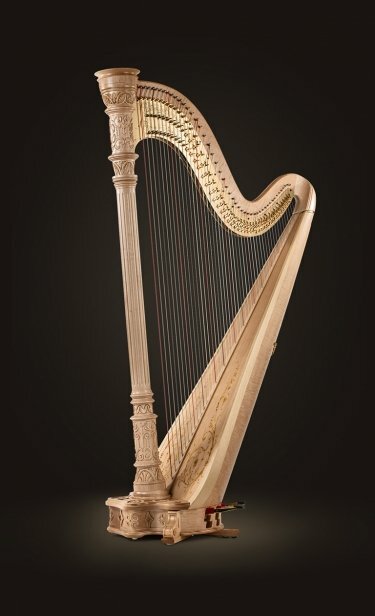 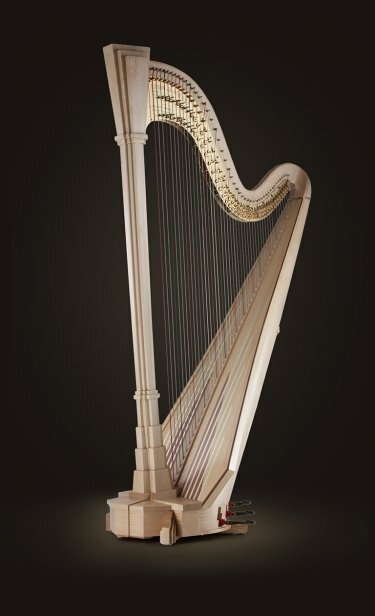 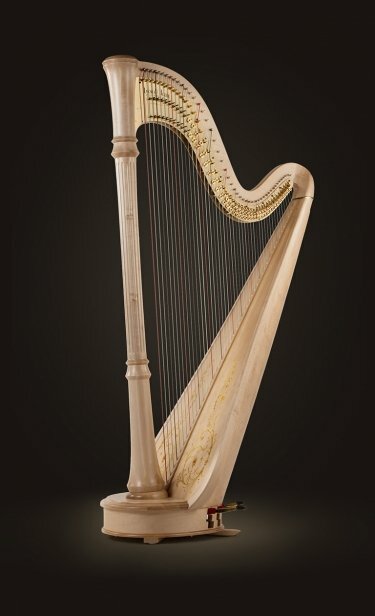 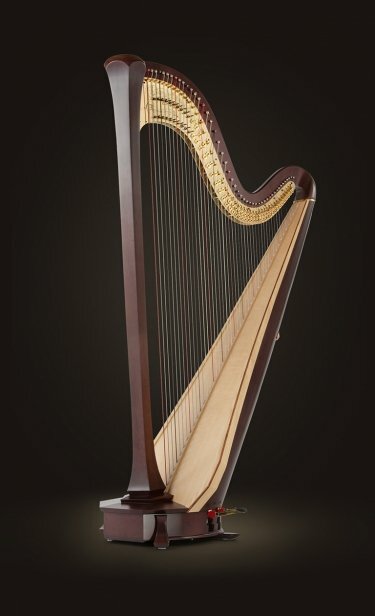 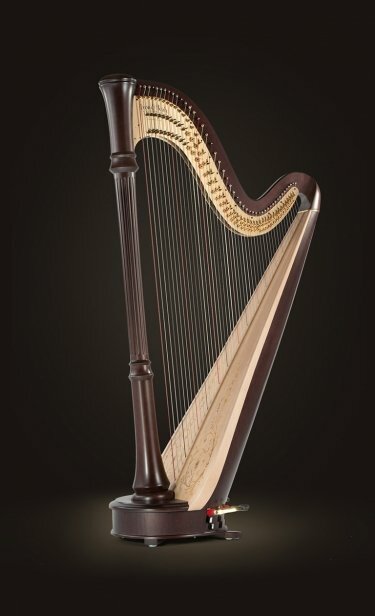 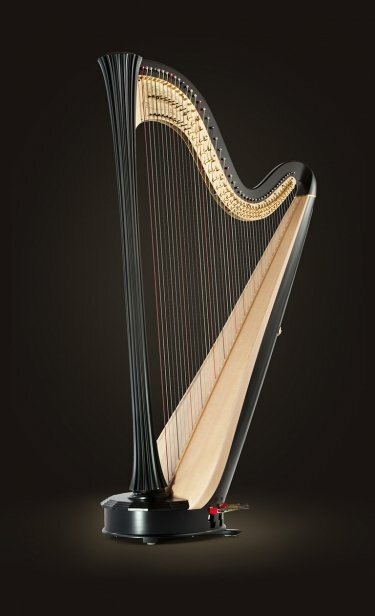 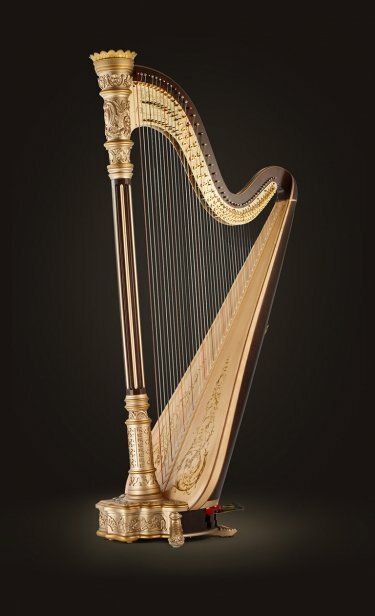 A romantic harp designed by Lyon & Healy in 1919, the Style 11 Nouveau is characterized by a classic Art Nouveau motif of fluid vertical lines, flowers and vine tendrils which are hand-carved into the Hard Maple column, base and feet. 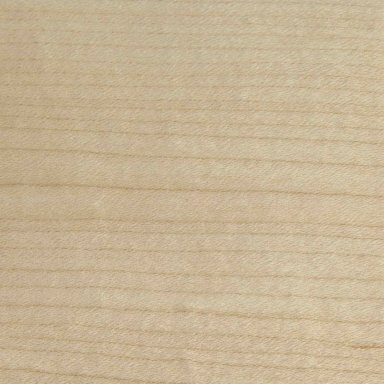 The extended soundboard features a double Rosewood inlay along the edges and is accented by soft floral decoration embellished with hand-painting. 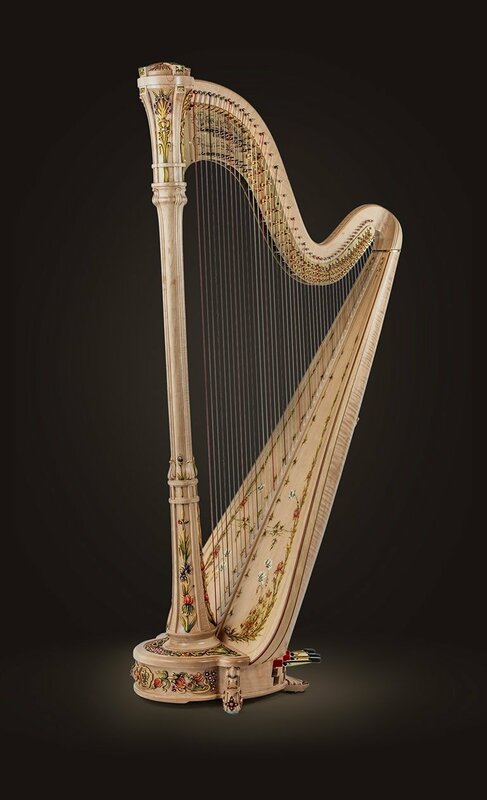 In colors that complement this decoration, the hand-carved floral elements have also been meticulously hand-painted, resulting in a show-stopping effect.